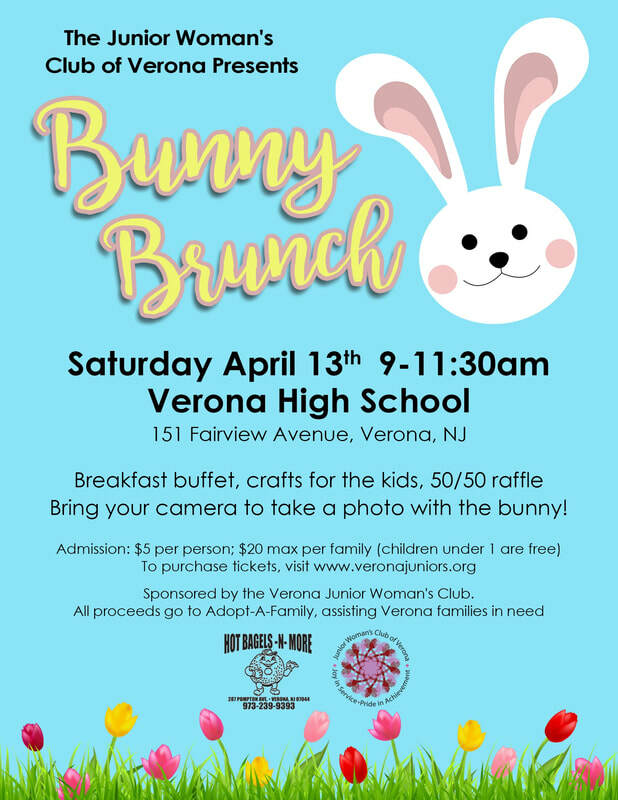 The Junior Women’s Club of Verona is once again hosting our annual Bunny Brunch! This event features food, drinks, crafts and a photo opportunity with the Easter Bunny. Buy your tickets below at the PayPal link (price includes PayPal fees.). Prices are: $5 per person to a maximum of $20 for a family of 4+. Open to all – Verona residency not required. Please note that for the comfort and safety of our guests a limited number tickets will be sold to the Bunny Brunch this year. Be sure to buy your tickets early so that you don’t miss out on the fun! There will be no refunds given.